EFS Has Been Given Wings! 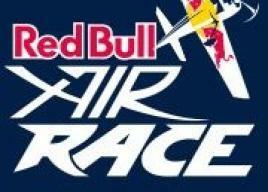 We are really proud to have secured the contract to provide fire medical and rescue cover at the Red Bull air races in Ascot. It’s a massive event for us with loads of resources deployed. 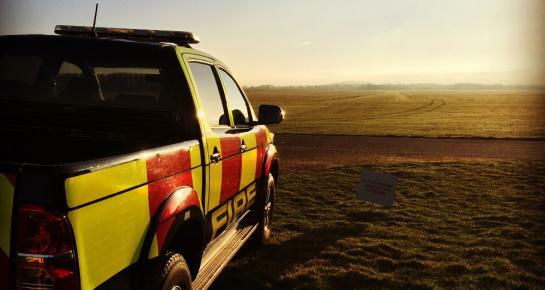 Dawlish airshow has chosen EFS to provide the Fire Cover at their air show in August, we can’t wait to watch the fantastic display and the line-up of events they have planned. 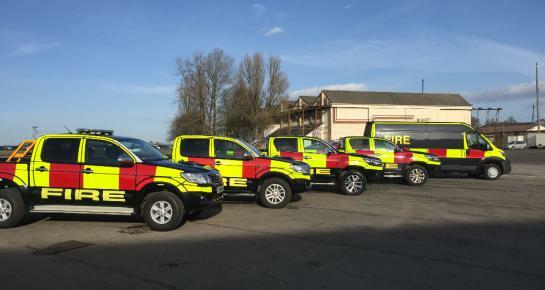 New vehicles, the L200, the Hilux and the RRV ambulance car are all new to the fleet of assets that have joined the ever growing fleet! Operations director Tony Whiting said “it’s a further demonstration of the continued growth and reinvestment we have in the company”. We've Got The Fire Bug! Well we have got distribution rights for the full range of Fire Bug products, and it’s a massive step forward for us, not only are these found on our own operational units but we are also now able to resell them on the open market. New for 2014 session we proud to be announcing the formation of our own fully trained Water Rescue team. Equipped with rescue ribs and fully kitted and trained these swift water technicians will ensure that your customers remain safe whilst near the water. 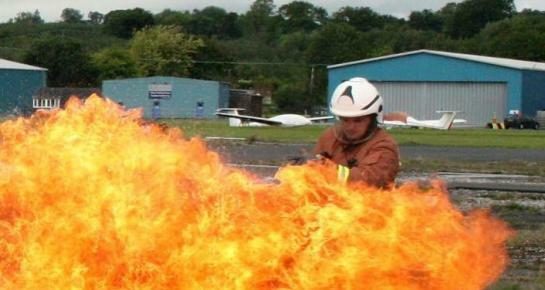 For 2014 we have agreed to support the Air Tattoo - and what better could way could we have to do that, than to supply them Fire Cover!! From July 11-13, we will be donating our equipment and labour to assist the other emergency services at this absolutely brilliant event, which is staged in support of the RAF Charitable Trust. Choosing RIAT was simple for us. We already have the honour and pleasure of working with the RAF on a regular basis - so it's a great pleasure to give something back. We are currently working on a very exciting project which will see our instructors working in both the UK and Overseas. We are therefore looking to find experienced, highly skilled and motivated individuals with a background in fire service training to and with operational backgrounds that would like to join our team, to deliver that training. If you’re interested in finding out a little more about this exciting role then please contact us where we will be able to share more information about this role. From Brighton to Liverpool, the bookings just keep coming in, it’s a combination of completive pricing understanding the role and our partnership ethos that means we work with each customer to deliver the full solution to their bespoke needs. 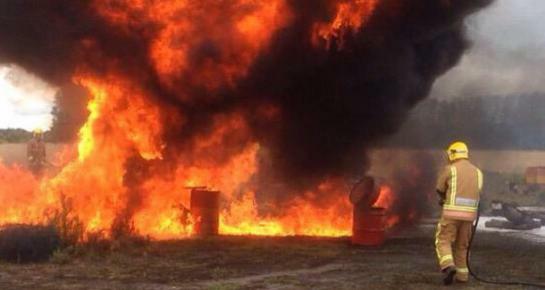 Fire safety is a skill and to some even a dark art, and we are really aware of how important it is to get just right! To assist with this, we have developed Firewarden.info, your one stop shop for all things fire safety, it’s full of free templates, unique calculators, and instant access to the information guides, and will go live mid April 2014. As the company continues to grow, more and more requests have come in requesting us to provide medical Cover, to answer this we have brought our first frontline Ambulance! 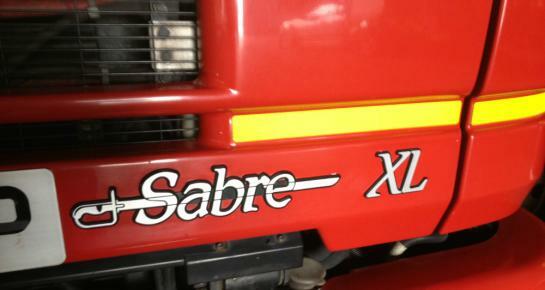 And work is now underway to develop a team that can deliver to the same exacting standards as the fire company. We are really pleased to confirm that we have again secured our major contract for 2014/2015 session, this session will see Event Fire Solutions providing Fire Cover across the whole of the UK and having a crew on standby for immediate deployment, to arrive with 8 hours, anywhere! 2013 was a landmark year for us, we grew and developed at an extraordinary rate, and that growth looks set to increase in speed and size over the next year, the key to our success has been our staff, and without them, none of this would have been possible, we therefore raise a glass of cheer to each and everyone of them that helped make EFS the success it has become. After the summer finished for us, the team of managers have continued to push the company on for the 2014 session. Brand new PPE, New Appliance, Real fire Simulator for realistic fire training, addition Firefighting and rescue equipment! Excitement mounts for the new session with loads of enquires and bookings, and loads of interest in the Event Calculator. Already we have completed one live fire training course and completed a one week deployment for PAPA 1 and a 4x4 crew complete with our fantastic FAS system! January we see a further investment into our website, with a massive increase in content, whilst remaining manageable to navigate, and of course informative. One of the Best parts of the month was the role out of the Real live fire training course we provided Shobdon airfield with following a class room session the crews went to the burning ground and focused on dual media attacks and branch choice as well as foam application. To ensure that you get straight through in the case of emergency and to ensure that call is answered as soon as practicable we have invested in a system that allows our phone equipment to contact the duty manager where there are and at no expense to you, just another small thing that helps makes the whole EFS experience, a pleasure from start to finish. New equipment and PPE, ensuring our staff are safe and have the correct tools to do the job is of paramount importance to us, so the first month of Jan has seen us invest in another massive amount in equipment, ongoing evidence that EFS are the new choice when it comes to selecting a provider of Event Fire And medical Cover. Seconds are vital in medical emergency and often the local services are a way off, so we have taken the next step and purchased our first Automatic Defib, in addition to 3 fully kitted trauma kits and a treatment bed, this will allow our crews on the ground to really make a difference should the worst happen! Our biggest non-intervention booking to date will see our training teams delivering training to over 100 premises, to assist with this we are shortly going to be able to announce the appointment of two new trainers that will add so much expertise to our team.